President Abdoulaye Wade has provided more than 32 million CFA francs (€ 50,000) as a contribution to the construction of the Great Mosque of Marseilles whose project is 75 years old. The check’s presentation took place in the framework of the France-Africa summit, that was held recently in Nice on the Riviera and several Senegalese authorities attended the ceremony. via Marseille : Le Sénégal contribue au financement de la méga-mosquée. A man married to a Frenchwoman has been refused French citizenship because of his “degrading attitude” toward women. 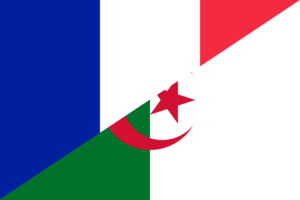 The Algerian man’s application for French nationality was turned down because “his idea of sexual equality is not that of the republic,” a high-ranking official told French radio station Europe 1, the Guardian reports. 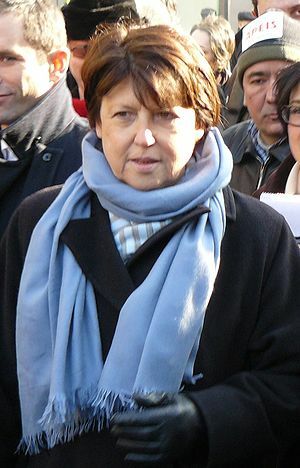 The man – eligible for French nationality as he had been married to a French citizen for more than four years – did not allow his wife to leave the family home freely, it is claimed. Turkish Prime Minister Tayyip Erdogan accused France of violating the freedom of religion on Wednesday after Paris began enforcing a law barring Muslim women from wearing full face veils in public. He told the Parliamentary Assembly of the Council of Europe that Turkey was the only Muslim country that had copied the French law on secularism, or separating church and state. “It’s quite ironic to see that secularism is today under debate in Europe and is undermining certain freedoms,” he said. “Today in France, there is no respect for individual religious freedom,” he said. The Strasbourg-based Council of Europe monitors human rights across the continent. Although missionary work is legal in secular Turkey, the mistrust of missionaries has been expressed by state institutions. In 2001, a report prepared for Turkey’s National Security Council, which brings together generals, politicians and the president, said missionary activities constituted a threat to national unity as their ultimate aim was to “divide Turkey”. Islamic terror chiefs have declared war on France over its ban on women wearing burkas. Extremists posted threats on websites calling for a “war on crusader France,” according to American terrorism monitoring service SITE. 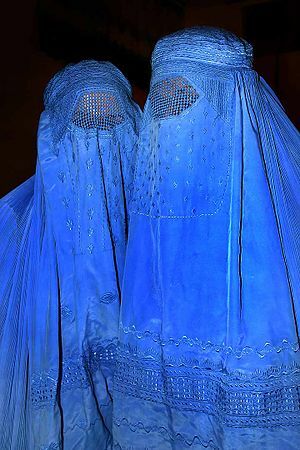 France has made it illegal for women to hide their faces with a burka – they can be fined £132. Well, I have stated repeteadly that these garments are against Western culture because of the reasons Islamist give to support them. But above all they are against security as no one knows who goes inside: it could be a mother of four, but if could also be the latest Jihadist waging war on peaceful citizens, a sexual maniac or a bank robber. You want to freely practise your religion? OK, just don’t mess with the rest of the citizens’ security. There is something that worries me though: burqas and niqabs are a symbol, a sign of what’s going on. In certain places, such as Lérida (northern Spain), the number of burqas and niqabs is growing quickly, so non-Muslim people realise the growth of extremism in the area, thanks to them. Of course, that’s a very little reason not to ban them, but in the end, it is one. On and by the way, if Saudi Arabia can impose its will over dress, why can’t France? The Improvised Explosive Devices (IED) one of the most lethal weapons the U.S. forces face in the fight against terrorism in Afghanistan is not only a headache for military but also needs closer attention from governments around the world while Pakistan is providing the necessary safe heavens according to U.S. military officials. “We do believe that the enemy – the Taliban is facilitated by some sanctuary in Pakistan, and to some degree minor assistance from Iran,” said Lieutenant General Michael L. Oates, Director, Joint IED Defeat Organization (JIEDDO) while addressing media on Monday. ﻿in Afghanistan there are “homemade explosives, explosives that are made largely from fertilizer-based bombs – ammonium nitrate and potassium chlorate,” while in Iraq those were more sophisticated. The general noted that, “there is no ammonium nitrate produced in Afghanistan. It all comes in across the border,” from Pakistan. “For instance, Haqqani will attack both Afghan security forces, civilians, and coalition forces equally. We believe his network seeks to control a criminal enterprise in eastern Afghanistan,” added the general. via Taliban “Sanctuary” in Pakistan With Increasing IED Menace Says U.S. General | AHN. It is unacceptable that India’s security can be threatened by groups of terrorists acting from neighbouring countries. “It is unacceptable for Afghanistan and for our troops that the Taliban and al-Qaeda find safe haven in the border regions of Pakistan. We know the price that the Pakistani people are paying for terrorism. But it is unacceptable for the world that terrorist acts should be masterminded and carried out by terrorist groups in Pakistan,” he said. The Pakistani authorities must “step up their efforts and show that they are resolute in combating these criminals,” he added, and pledged unlimited counter-terrorist co-operation with India. PS: one of the Haqqanis raped poor, defenseless girls and made videos of that. Just to consider the kind of “moral” these guys have. As online advertising continues to grow rapidly throughout Europe, French senators this week approved a new tax law aimed at securing the government to a piece of the revenue pie. Although the measure is popularly known as the “Google Tax“, it does not directly impact the Internet giant, which has based its advertising business offshore and out of reach of French tax collectors. Instead, the one-percent charge will be levied on all French-based companies purchasing online publicity services. The measure is expected to become law in 2011 and generate between 10 and 20 million euros per year if it is passed by the National Assembly, as predicted. Supporters of the tax say it will put online advertising on an equality footing with other media. Broadcast and print advertisements are already subject to taxation in France. Television advertising alone pumps roughly 70 million euros into government coffers annually. But critics say the government’s plan fails to meet its original goal: to tax the French operations of internet giants such as Google, Microsoft, eBay and Amazon, which are located strategically in European countries with low corporate tax rates, such as Ireland and Luxembourg. via France plans to introduce new ‘Google tax’ | Business | Deutsche Welle | 25.11.2010.